Well I'm back from OnStage and what a fabulous time it was!!! Lots of ideas, fun new catalog, and making many new friends...that's what it's all about, community! Now it's time to share the latest sketch from Atlantic Hearts Sketch Challenge. It's quick and easy...just what I need right now! 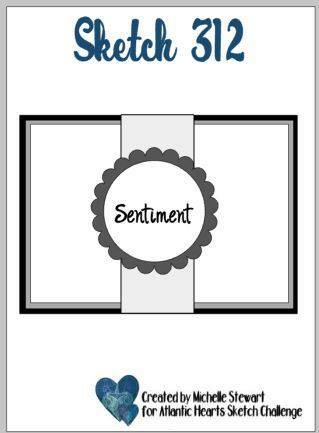 Here's my card, actually one of four that I made. With the way I cut it, I could get 2 more out of this 12 x 12" piece of double sided pattern paper. 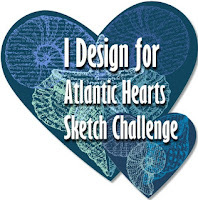 Now I challenge you to try our sketch and play along at Atlantic Hearts Sketch Challenge.